Most people that own waterfront property will have to contact a marine contractor at some point. 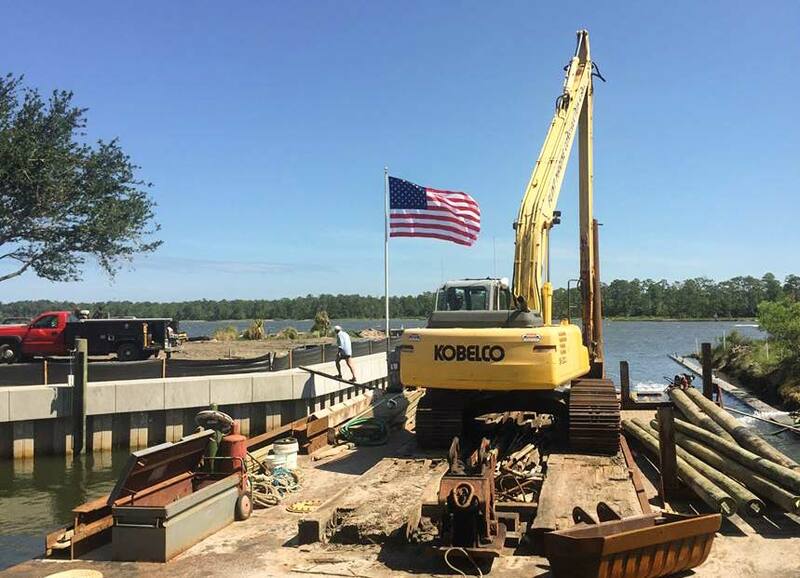 Whether it is to construct or repair a dock, add a world-class boat lift, build a boathouse, bulkhead or seeking erosion control advice/solutions, we are your Hampton Roads contractor of choice. Our primary project territory includes the Chesapeake Bay, Oceanfront and inland waterways in Hampton Roads, VA south of the Hampton Roads Bridge Tunnel, and north of the North Carolina Line. We focus our effort on excellent work, land conservation, safety, and a finished product that provides long-standing results in our harsh coastal environment. We are committed to leaving things better than we’ve found them. We are a Pearl Business designation with Lynnhaven River Now. A Pearl Business Recognition recognizes local Hampton Roads businesses for reaching a level of environmental responsibility and sustainability, implementing projects and changes in operations that focus on topics including stormwater management, water conservation, energy conservation, sustainable purchasing, habitat conservation, waste reduction and recycling. Please consider getting your home, neighborhood or business certified Pearl status at www.lynnhavenrivernow.org. We are proud to be authorized area dealers for both Golden Boat Lifts of North Fort Myers, FL. and Wave Armor modular docks and wave ports of Maple Lake, MN. We believe in the excellent products manufactured by these well-established companies, and are thrilled to be aligned with them. We have worked on some of the top marine projects in the area including both residential and commercial projects. If you have been to Harbor Walk in Norfolk, VA or Marina Shores and Bubba’s Seafood Restaurant in Virginia Beach, VA, then you have seen our quality work first hand. We have the experience you need and a name you can trust. Please take a look at our list of services to view the photo gallery of some of our recent work. We are so very proud to have earned industry-wide respect, often resulting in a very high past customer referral rate. Feel free to ask us for references. We love what we do!